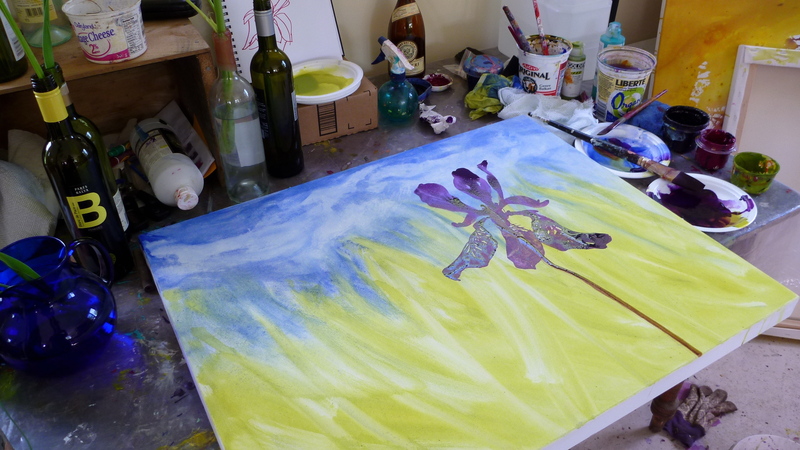 Bringing flowers into the studio and onto the canvas. 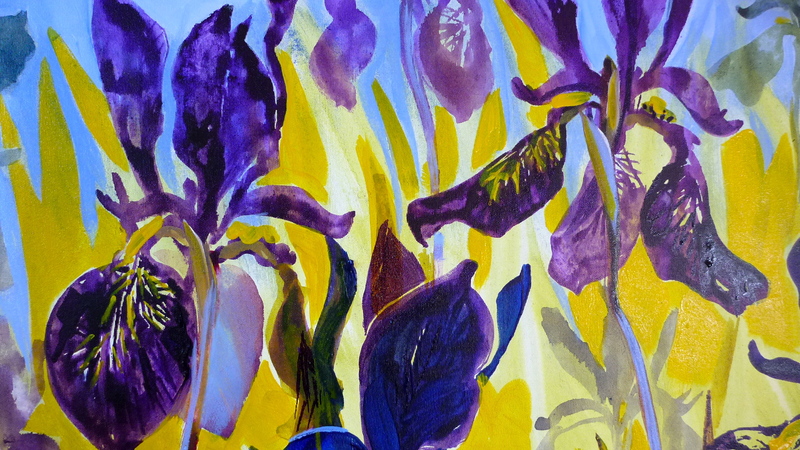 The lupins and iris are blooming and there is a riot of colour outside. 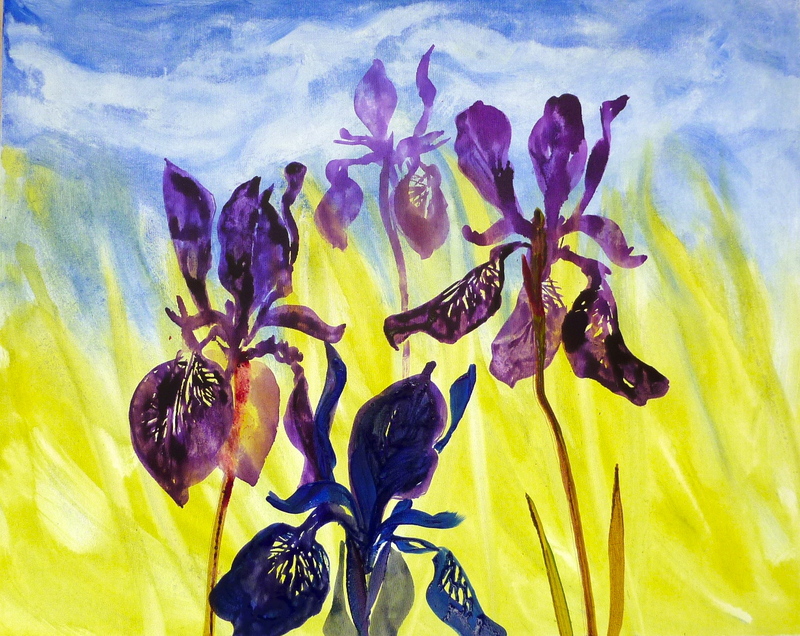 I wait every year for this short time – the three week window when iris are in bloom so that I can paint them. Since moving to our house in Nova Scotia a year ago, I am now blessed with hundreds of lupin that ring our garden and our yard and bloom at the very same time as the iris. I am spending each day with my brushes painting these beauties with fluid acrylics. The Gathering, acrylic on canvas, 24″ x 30″. 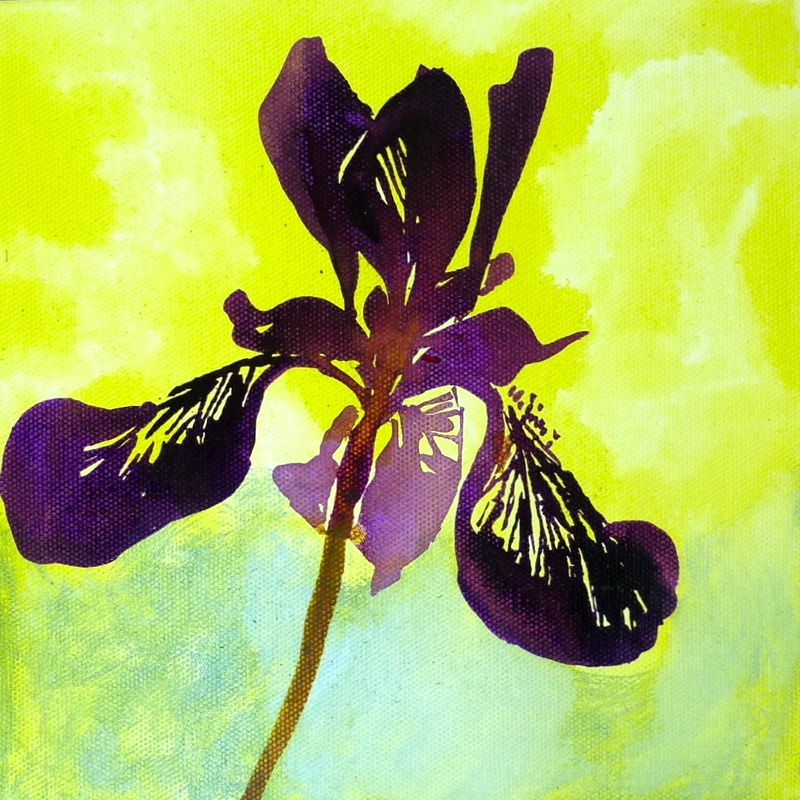 Painting by Flora Doehler, 2010. I am approaching them using more realism than I usually do. 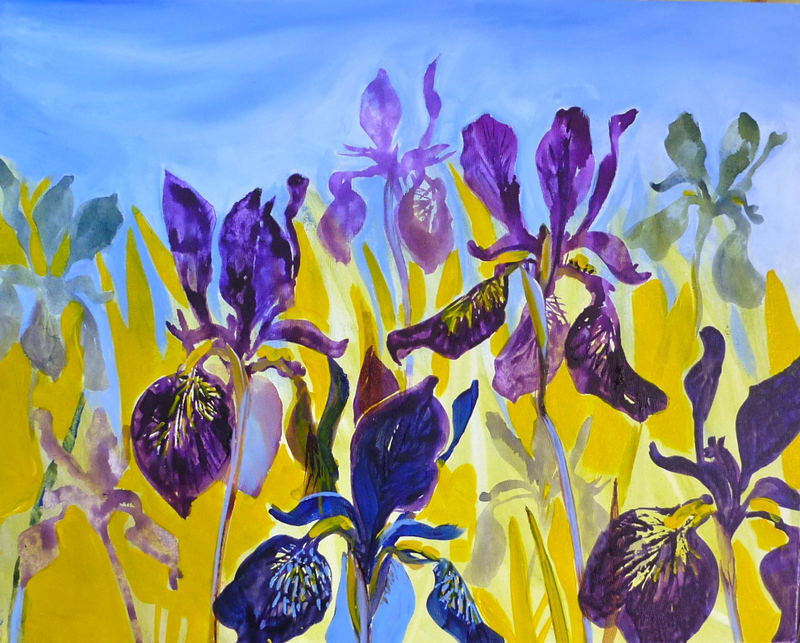 I want to really learn and feel the shapes of the petals so that I can know how a Siberian iris is shaped. 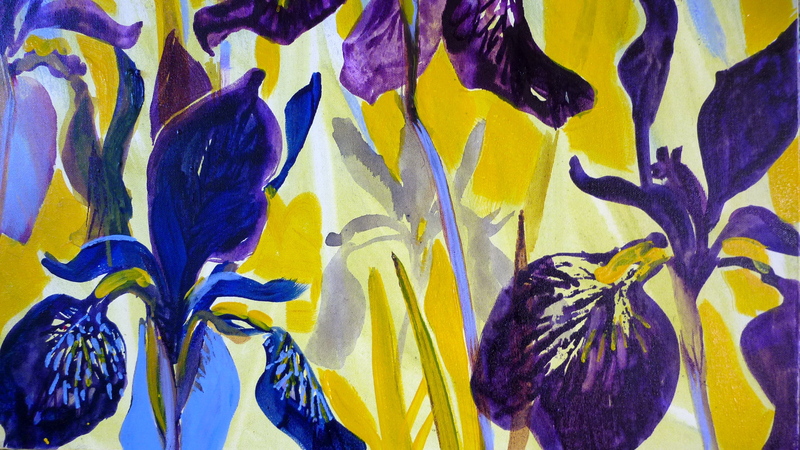 How a Siberian iris feels. 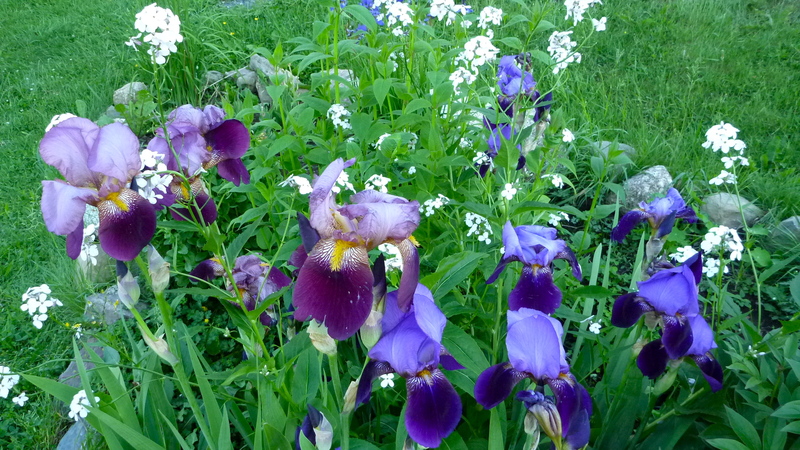 In the past, I grew bearded iris, but last summer, a friend gave me several dozen clumps of iris that are now blooming all over our property! 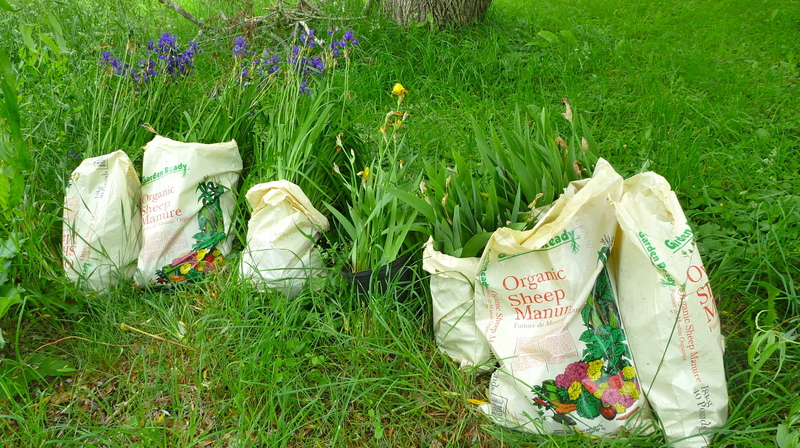 One year ago, I planted all these iris clumps everywhere! 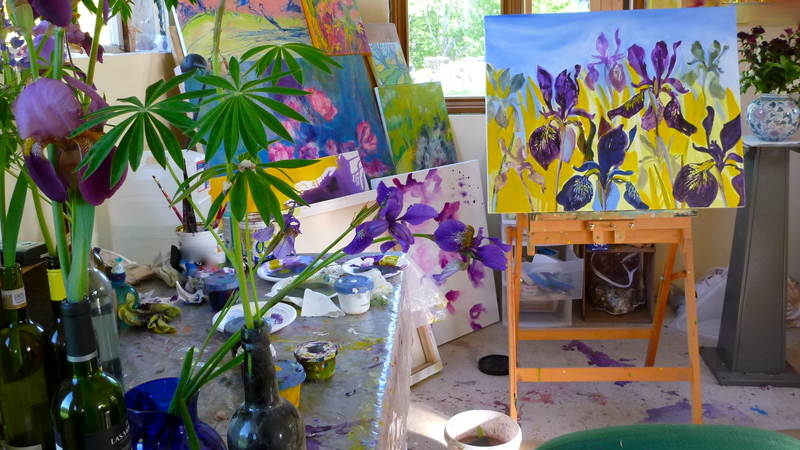 Their grape colour is delightful and I am using dioxazine purple, ultramarine blue, gold green, hansa yellow medium and a touch of quinacridone violet in these paintings. The paint is Golden fluid acrylics. They are my favorites because of the intense colours and ease of use. 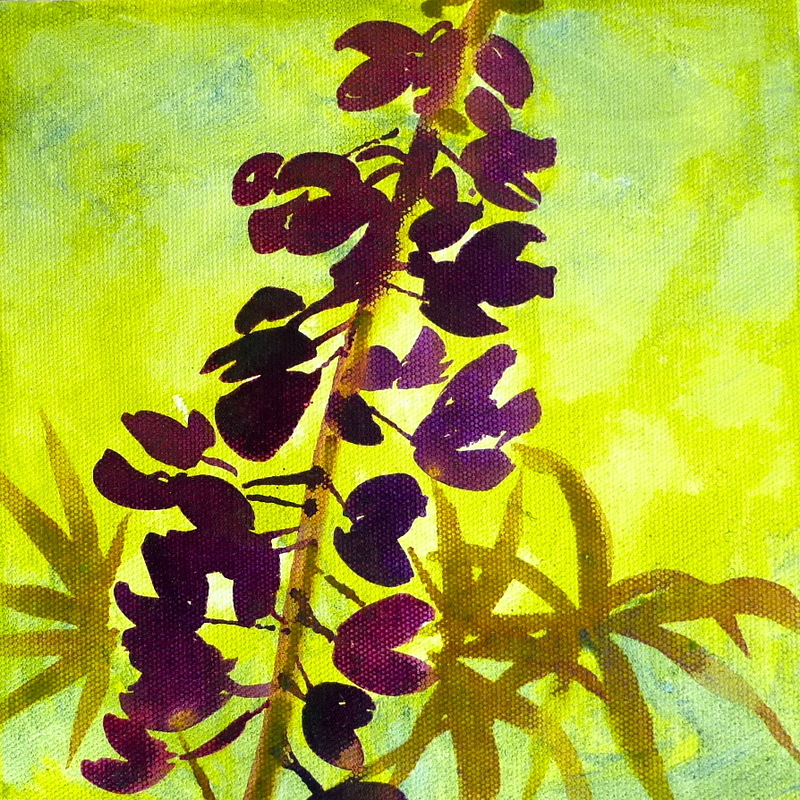 Painting available at Green Willow Studio. I am also working on some small canvasses to prep for the Farmer’s and Artist’s Market that is starting up this Sunday in Bear River. Acrylic on canvas, 8″ x 8″, $80 + shipping. This means I am working to two deadlines: the iris bloom time and the market one! It’s a race that I am quite enjoying! Several days of rain and humidity have brought out all the iris. These are bearded iris. Love your luscious color and fluid strokes. Barbara, I don't know how I missed your wonderful comment!! 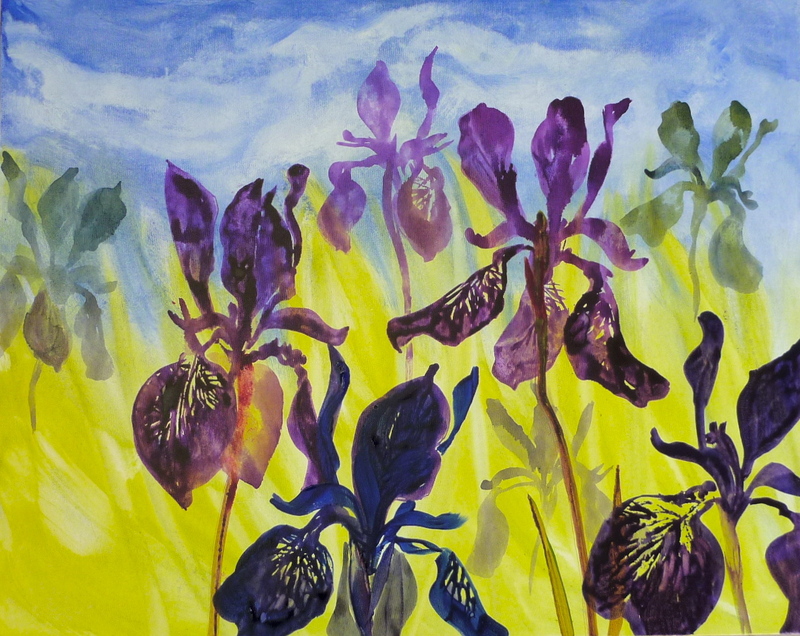 I was thinking the other day that this is the first year I have painted so many iris paintings…and still it wasn't enough!! They are finished blooming now and the lillies are starting. The flower season is upon us and I just say WOW! Can't wait to see you!